Solid wood end table to accentuate your sofa in a stylish manner. 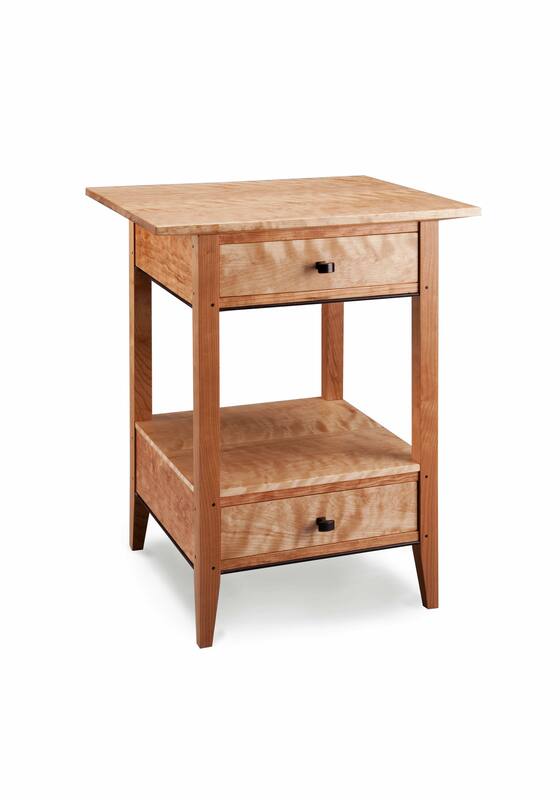 Influenced by the traditional Shaker style, but with a modern flare. Designed to highlight the rich grain of flame birch, cherry ,and wenge wood, it is precisely crafted with mortise, tenon, and pegged joinery construction for enduring stability. Two dovetail drawers. Finished with clear lacquer.